Get ready to join us in a pampering fun beauty and health spa crochet gift along. Quick and pretty gifts to make for yourself, family and friends. These patterns will also make great charity donations. An assortment of Spa goodies to pamper yourself of for someone as a gift! 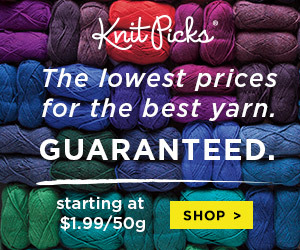 Your favorite hook and your cotton yarn! What we will be using Lion Brand 24/7 Cotton and 4 mm (G) and 3, 25 mm (D) hooks. Join the Creative Crochet Workshop and also the American Crochet Ravelry Groups. Join the Creative Crochet Workshop Group and the American Crochet Group on Facebook for assistance with the CAL – both groups are awesome and filled with helpful caring Crocheters who are willing to help assist each other. Once you have joined the groups be sure to join the event. Get your hooks, yarn and also anything else you might need to get ready for our first post. Beauty & Health Spa Crochet Gift Along! This will be updated on a Pattern by Pattern basis with pattern names and direct links.